I usually don’t really do negative reviews, but once a year I make an exception, so I can list some of the books that frustrated and annoyed me. 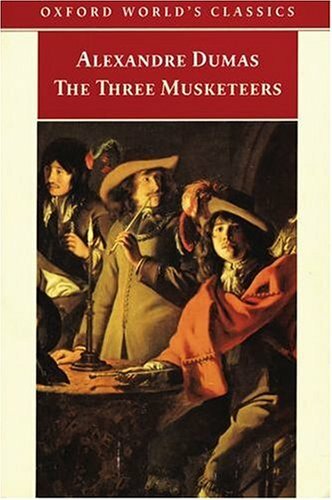 Three Musketeers by Alexander Dumas – I read this right after reading The Count of Monte Cristo, which might’ve been a mistake, since this is a very different sort of book. Where Monte Cristo has a very focused narrative and a strong throughline, Three Musketeers is just a set of loosely connected incidents that I, in most cases, found rather dull. Maybe this was just because none of the characters really charmed me; they all seemed insubstantial and foolish. I got 2/3rds of the way through the book before abandoning it. The Idiot by Fyodor Dostoyevsky – I abandoned this one about 20% of the way through. I’ve read lots of books by Dostoyevsky, but nothing in the last three years. Maybe I’ve just outgrown him, or maybe this wasn’t his finest. I really just couldn’t get into it. None of it seemed at all alive. Wolf Hall by Hilary Mantel – Oh my god, this book was so boring. At the time, I pretended to myself that I enjoyed it because that was the only way to get through it, but in retrospect I find nothing in it that was redeeming. It’s a history about a fascinating figure and a fascinating time…but it doesn’t include any of the actual fascinating stuff about that time. Rather, all the good stuff takes place off-stage, and all that you see is a lot of waffling about and misdirection. Ethan Frome by Edith Wharton – I had to read this for class, and I hated it, which is weird, because I love Edith Wharton. She is a fantastic writer: subtle and thrilling and full of interesting characters. But this novella had none of those things. It was a big lumbering Gothic horror story about doomed love. Which, in my opinion, doesn’t really play to Wharton’s strengths. I have no idea why they teach this. I suspect that it’s simply because the book is short and teachers are always looking for things that students can read in a week. However, that is not a sufficient explanation: Wharton is famed for her novella-length work, and I think that something like The Touchstone is much better and more representative look of her virtues. Antifragile by Nicholas Nassim Taleb – I forget how far I got into this, but I couldn’t finish it. I loved The Black Swan. It was a brilliant and eye-opening book. But even in that book, Taleb’s posturing got on my nerves. In this one, the posturing has been dialed up to eleven. It’s absolutely unbearable, especially in a book that’s as light on content as this one. Mercedes Lackey – I tried to reread several books by Mercedes Lackey and just couldn’t do it. The writing is terrible. Growth Hacker Marketing by Ryan Halliday – Oh my god, this book has zero content. Do not buy it. The Annales by Tacitus – Do you really care which general invaded which Germanic province in which year of Nero’s reign? No. Nobody does. What put the boringness of Tacitus into such stark relief was that immediately afterward I read Suetonius Lives of the Twelve Caesars, which covered exactly the same years, but was much more fun and personality-driven.